My name is Daniel Vermilya, and I am a Civil War historian who has written a book on the battle of Kennesaw Mountain. 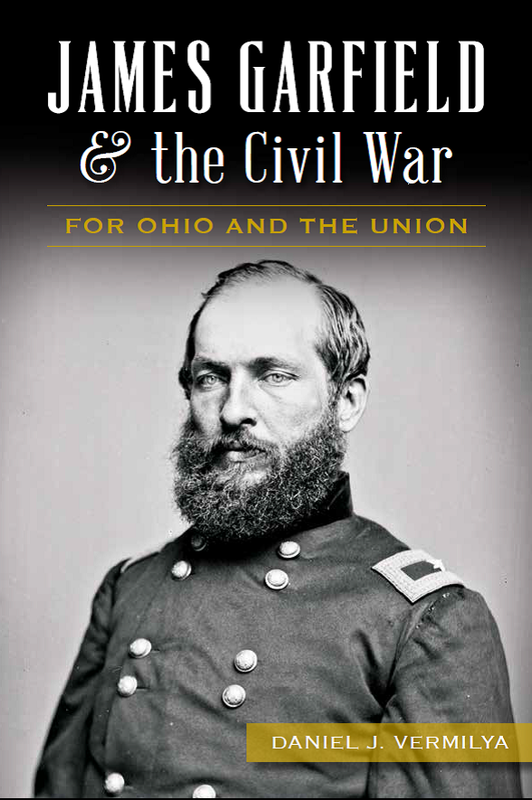 The book is a part of the History Press’s Series on the Sesquicentennial of the American Civil War. It is meant to be a broad overview of Kennesaw Mountain and the battle’s role in the Atlanta Campaign during the summer of 1864. This blog is meant to be a companion to the book. Because I couldn’t include everything I wanted to, I will post additional soldier accounts, battle tidbits, and musings on Kennesaw Mountain and the Atlanta Campaign on here from time to time. Additionally, you can find the full order of battle for both Union and Confederate forces in the Atlanta Campaign (a smaller order of battle appears in the book), as well as a complete bibliography for the book project. I wanted to add this page to give you an introduction to me and this site. I am a die hard Cleveland Indians and Pittsburgh Steelers fan (my Mom is from Ohio, Dad is from Pennsylvania, so yes, it does make sense). Currently, I reside in Pennsylvania with my wife, Alison. I do make many trips to Kennesaw, though, especially because my Uncle Jeff and Aunt Paula reside there, and they are two of my favorite people (plus the whole getting to hike the Kennesaw Mountain battlefield thing). I am a proud graduate of Hillsdale College, where I studied both history and politics and was a member of the Sigma Chi Fraternity. I graduated Hillsdale in 2009 with my B.A. and departmental honors in history, and then went to John Carroll University in Cleveland, Ohio, for my graduate work. I worked as a graduate assistant at John Carroll, where I received my M.A. in history and wrote my thesis on the experiences and motivations of Ohio soldiers during the Atlanta Campaign. Since 2010, I have worked as a park ranger for the National Park Service at Antietam National Battlefield. In 2013, I also had the privilege of working at Gettysburg National Military Park. Thus far, I have had the good fortune to work at three prominent Civil War 150th events: I was on a short detail to do informal interpretation at the First Manassas 150th, and I led battlefield hikes and talks at the 150th anniversary events for both Antietam and Gettysburg. Because I work seasonally for the NPS, in my spare time I write and do research, as well as design video and text lessons on American history for educationportal.com, a learning website to help students study for college exams. In 2012, I won the Dr. Joseph L. Harsh Memorial Scholar Award from Save Historic Antietam Foundation, which funded research on the size, strength, and composition of the Army of the Potomac at Antietam. I presented my research at a SHAF seminar in September 2012, and an article based on the project was published in early 2014 by SHAF. Being a native of Ohio, I have long been drawn to William Tecumseh Sherman. Studying him and others from my state sparked an interest in the Western Theater of the Civil War, which led to my interest in the campaign for Atlanta in 1864. The Atlanta Campaign is, in my opinion, one of the most important of the war, making the struggle for Kennesaw Mountain in June 1864 a pivotal fight in a crucial moment in American History. For questions on the blog or book, feel free to leave a comment on the blog. For speaking requests, contact me at dvermilya15@gmail.com.